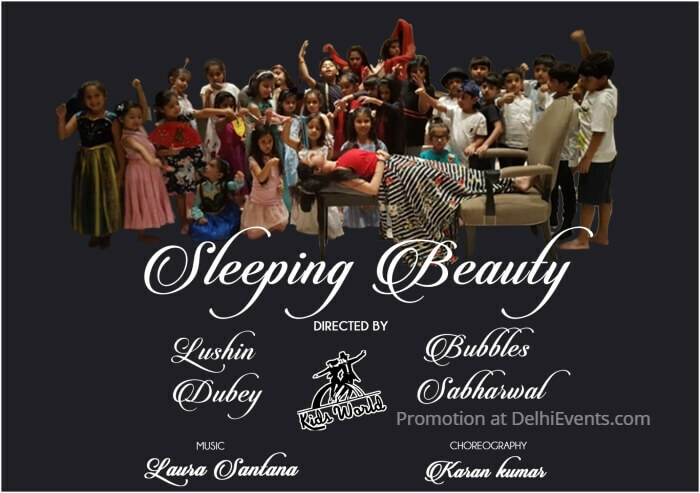 Event Description : THEATRE : Kids World presents "Sleeping Beauty" English Play. A musical retelling of the Classic for children. Full of magic, songs and wonder!! Directors : Lushin Dubey and Bubbles Sabharwal.